Image: lung cell division by the National Institutes of Health. New evidence for genome instability in fly tumors suggests key similarities—and differences—from human disease processes. Human cancers display a variety of abnormal genomic features, including increased numbers of single nucleotide variants (SNVs) and copy number variants (CNVs). However, a 2014 study on a fruit fly tumor detected no elevation of SNVs or CNVs compared to non-tumor tissues, raising questions about how well the fly tumors, which are sometimes used in cancer research, represent cancer in humans. Rossi et al. investigated whether this was generally the case in malignant neoplasms in flies by sequencing the genomes of 17 such tumors caused by mutations in four different genes. To address this question, the researchers used a process called allografting: they dissected tumors from fly larvae, then implanted them into the abdomens of adult flies. Each time the tumors filled up the abdomens of their hosts, the tumors were removed, and some of the tumor cells were allografted again into new fly hosts. This approach allowed them to monitor which types of mutations accumulate over many rounds of cell division. Without these successive iterations of allografting, they would have been limited to studying mutations that occur over the comparatively short lifespan of the hosts. In all of the allografted tumors, the researchers found increases in SNVs and CNVs similar in number to those seen in human cancers, and in the case of CNVs, with a similar size distribution. Also as in humans, the increases in the number of mutations varied from one tumor type to the next. However, they also found that the CNVs weren’t distributed in any discernable pattern, no two allografts had SNVs affecting the same genes, and the CNVs and SNVs often weren’t retained from one allograft to later allografts. 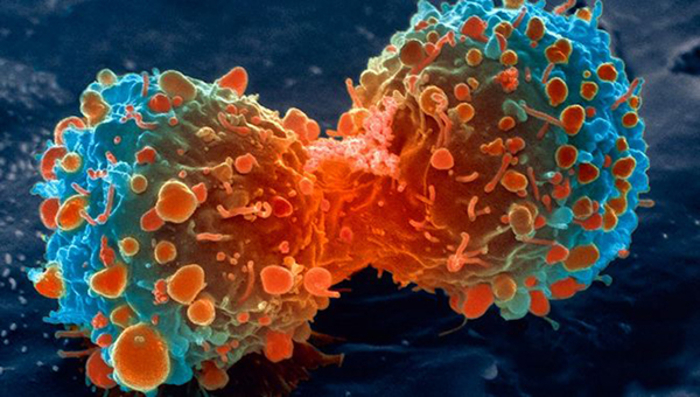 This implies that these mutations may merely be byproducts of genome instability in the tumors and thus don’t contribute to malignancy, whereas in humans, it’s thought that the accumulation of such mutations as tumors age is a driver of malignancy. One important consideration, though, is that studies looking for genetic variants correlated with cancer in humans often have much larger sample sizes, which might reveal associations this fly study could not identify. Still, because flies are important model organisms for cancer research, furthering our understanding of the similarities and differences between human and fly tumors, as Rossi et al. have done, is essential.